Feel like you're running out of time for a Valentine's gift, but want still want it to be meaningful? AND you don't exactly have a ton of time or money to spare? 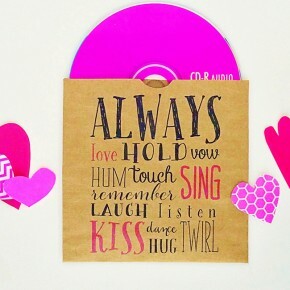 Well, stop your fretting, we've got you covered - make your honey a creative and thoughtful CD mix filled with the best love songs! Plus, what a great Valentine's gift idea to help set the mood for the entire night!